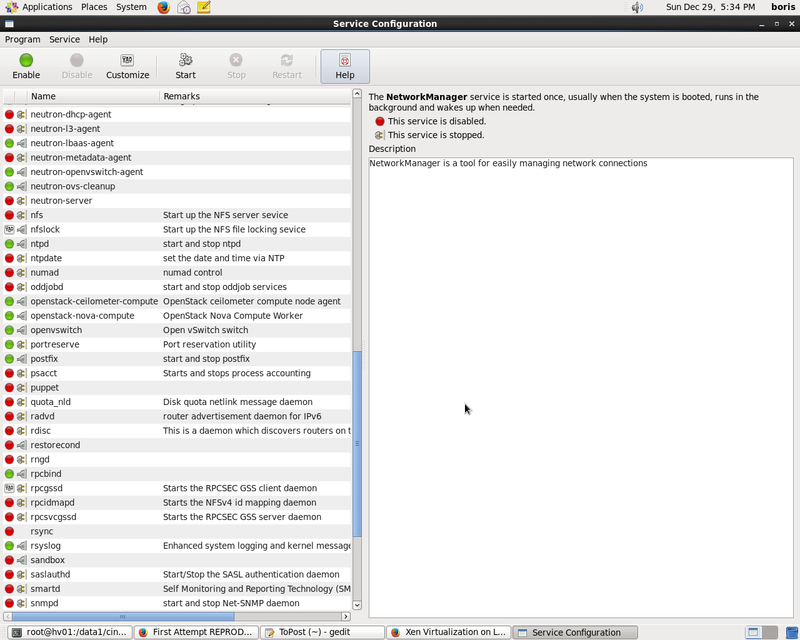 Why CentOS 6.5 ? 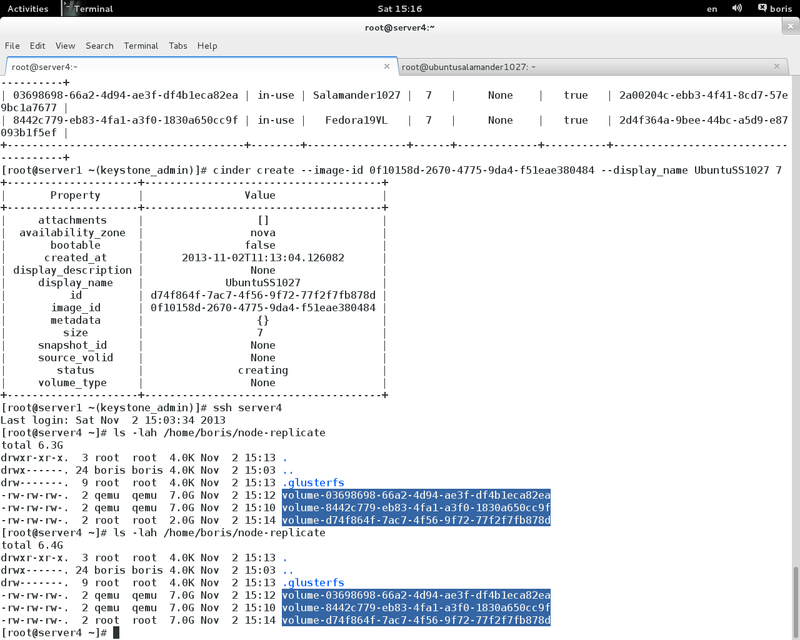 It has library libgfapi http://www.gluster.org/2012/11/integration-with-kvmqemu/ back-ported what allows native Qemu work directly with glusterfs 3.4.1 volumes https://bugzilla.redhat.com/show_bug.cgi?id=848070 View also http://rhn.redhat.com/errata/RHEA-2013-1859.html in particular bug : 956919 – Develop native qemu-gluster driver for Cinder. 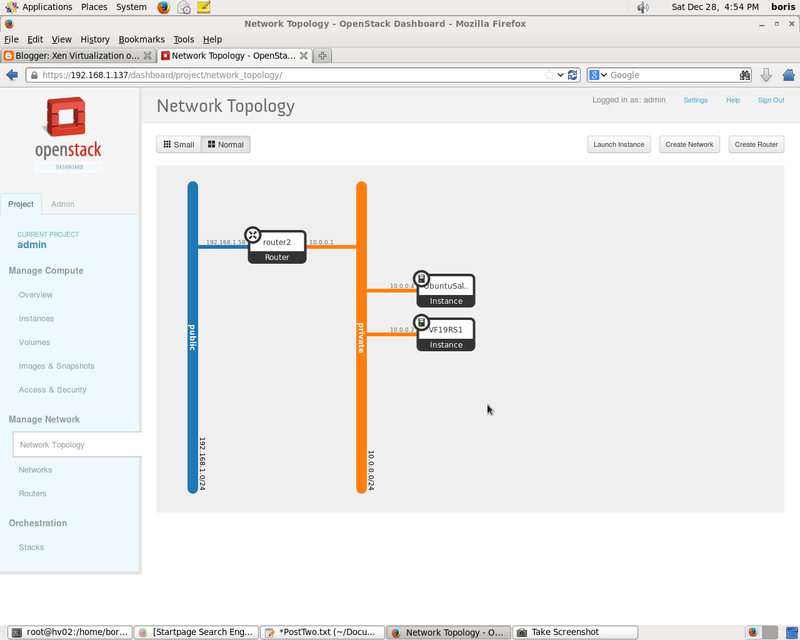 General concept may be seen here http://www.mirantis.com/blog/openstack-havana-glusterfs-and-what-improved-support-really-means . 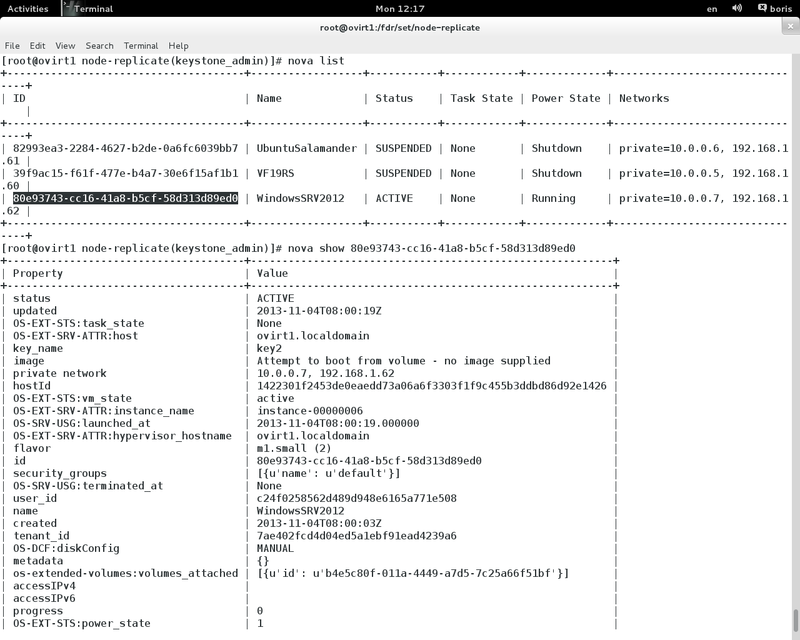 I am very thankful to Andrew Lau for sample of anwer-file for setups a kind of “Controller + Compute Node + Compute Node ..” His “Howto”  is perfect , no matter that even having box with 3 Ethernet adapters I was unable to reproduce his setup exactly. 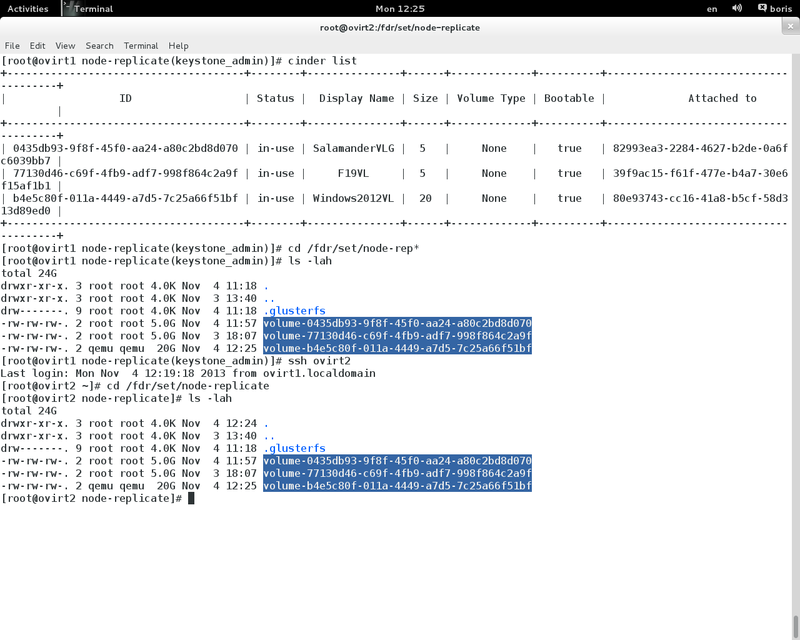 Latter I realised that I just didn’t fix epel-*.repo files and decided to switch to another set up.Baseurl should be uncommented , mirror-list on the contrary. I believe it’s very personal issue. 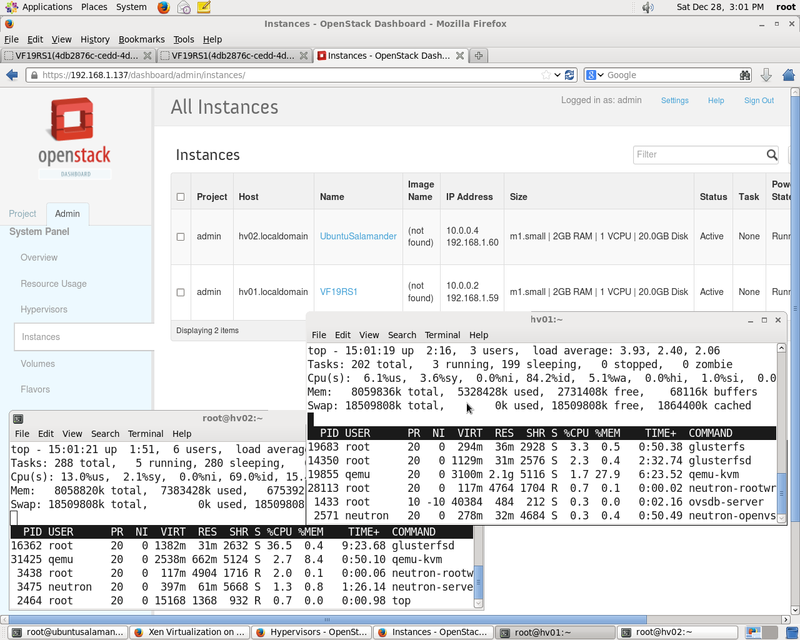 By some reasons I had to install manually EPEL on CentOS 6.5 .Packstack failed on internet enabled boxes,epel-*.repo also required manual intervention to make packstack finally happy. 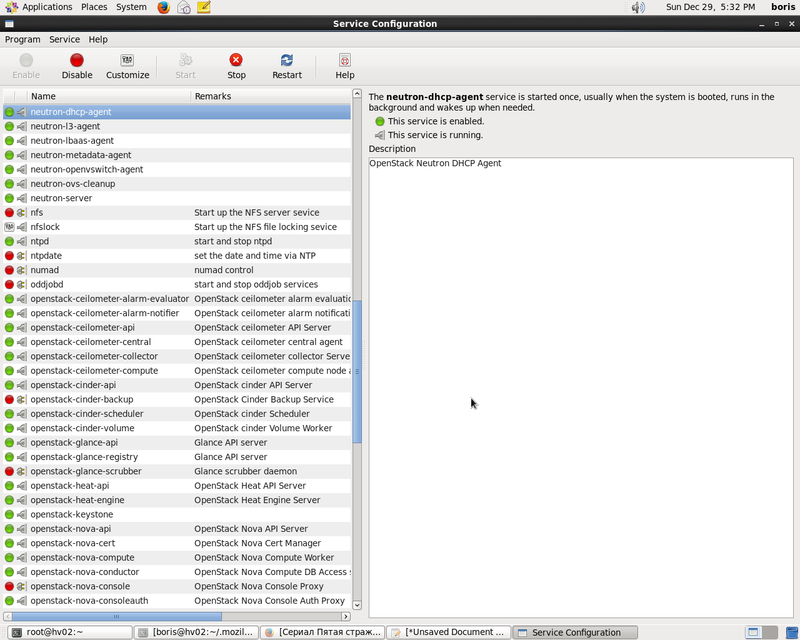 In current Controller+Compute set up there is no need in Haproxy. 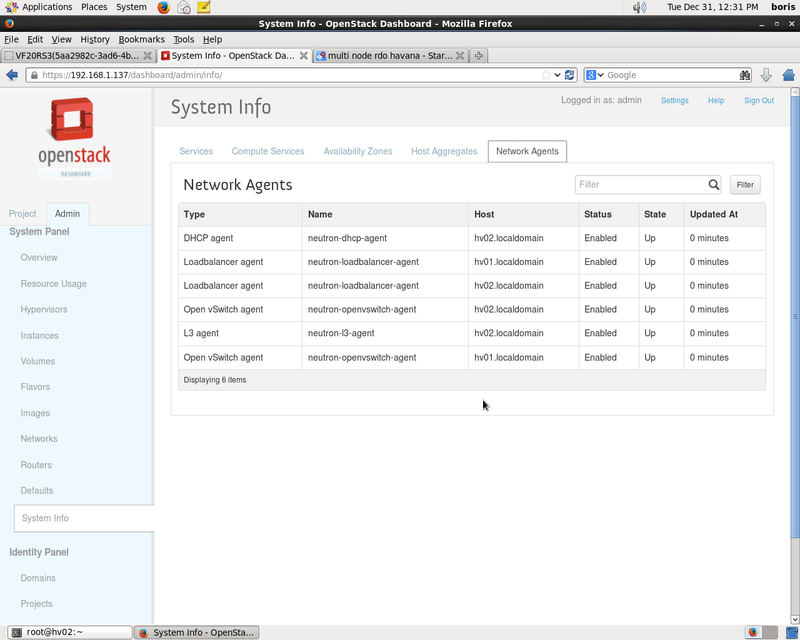 Otherwise third host is needed to load balance openstack-nova-compute. 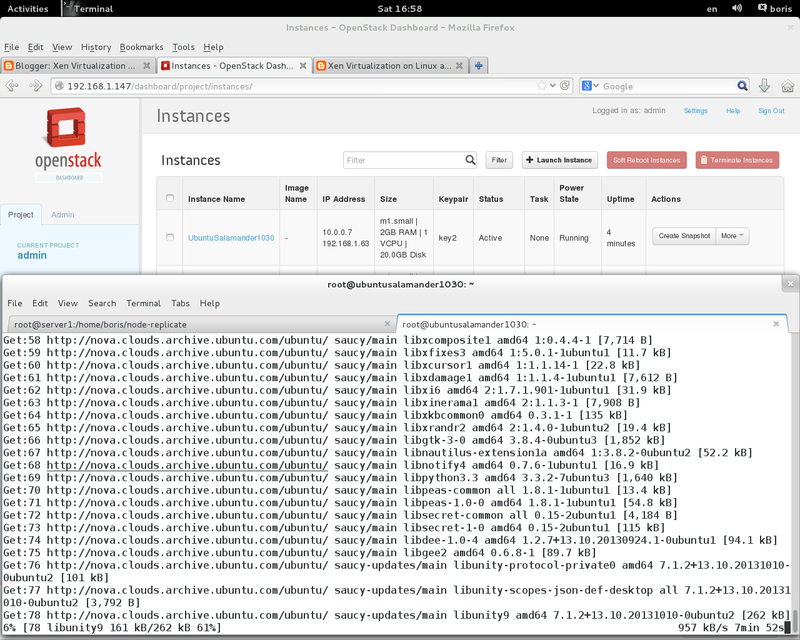 So “yum install haproxy” in LBaaS section of  is hard to understand. 5. 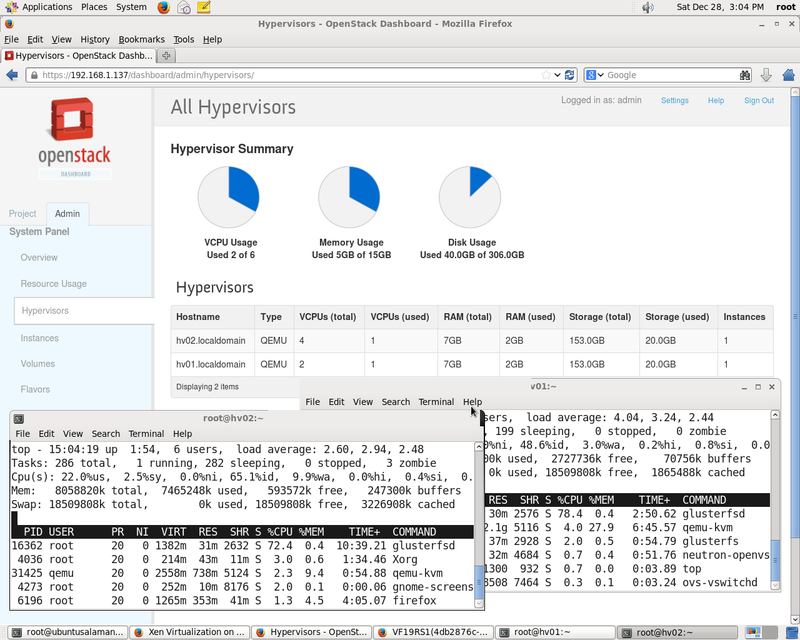 HA implementation via keepalived per  after RDO install due to changing interface to “br-ex” on Master. 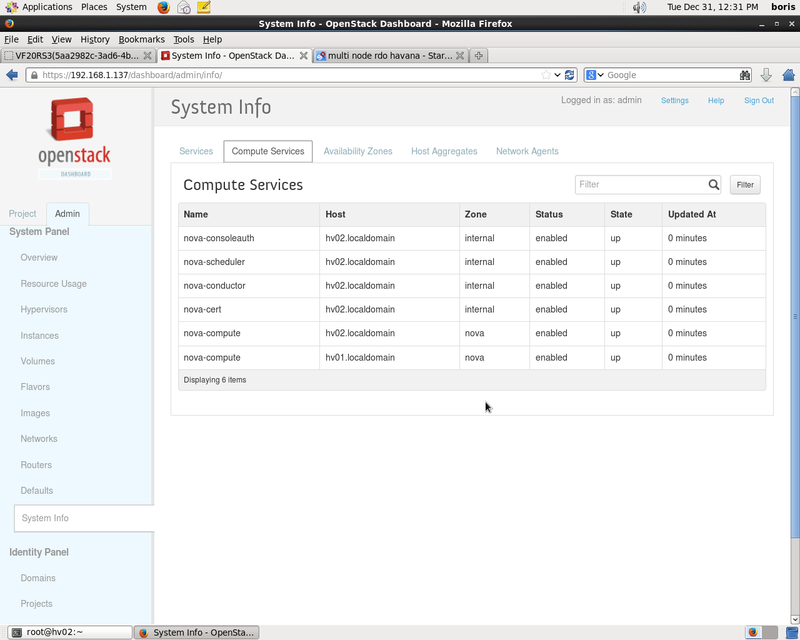 * File /root/keystonerc_admin has been created on OpenStack client host 192.168.1.137. 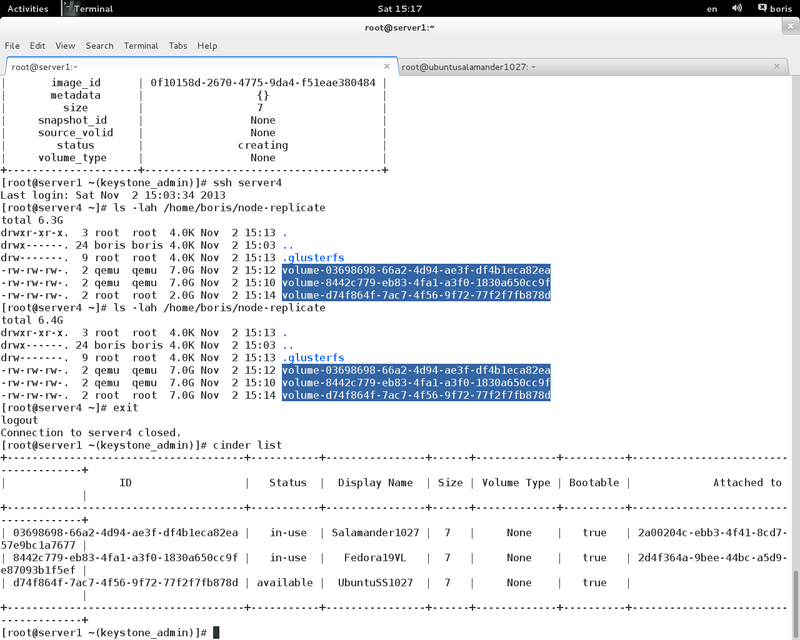 To use the command line tools you need to source the file. * NOTE : A certificate was generated to be used for ssl, You should change the ssl certificate configured in /etc/httpd/conf.d/ssl.conf on 192.168.1.137 to use a CA signed cert. 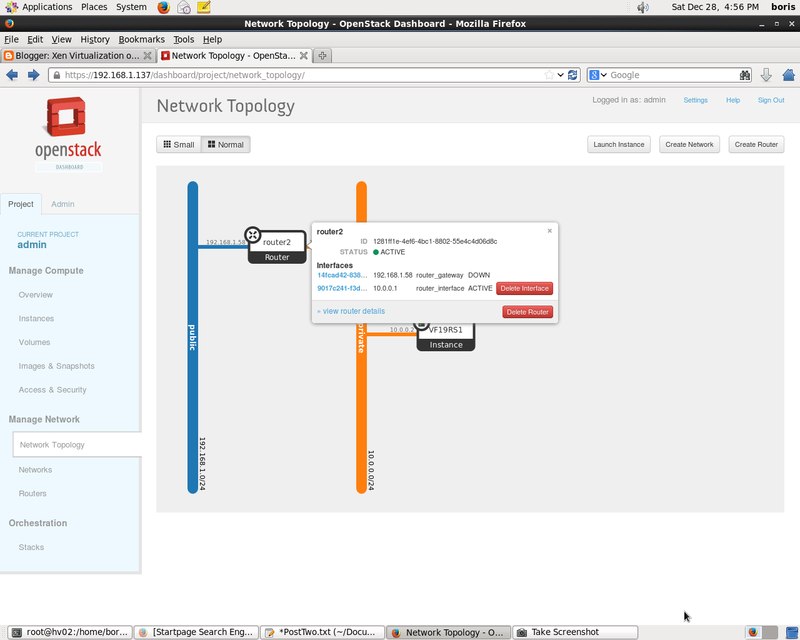 * To access the OpenStack Dashboard browse to https://192.168.1.137/dashboard. 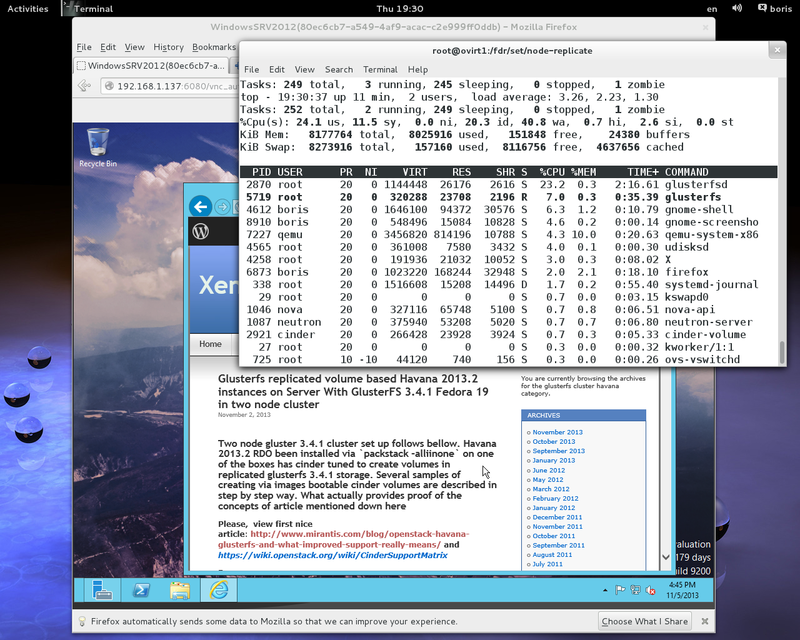 Glusterfs replicated volumes created after reboot for glance,nova,cinder-volumes. After RDO packstack completed and post configuration tuning is done. drwxr-xr-x. 3 root root 173 Jan 9 17:58 .
drwxr-xr-x. 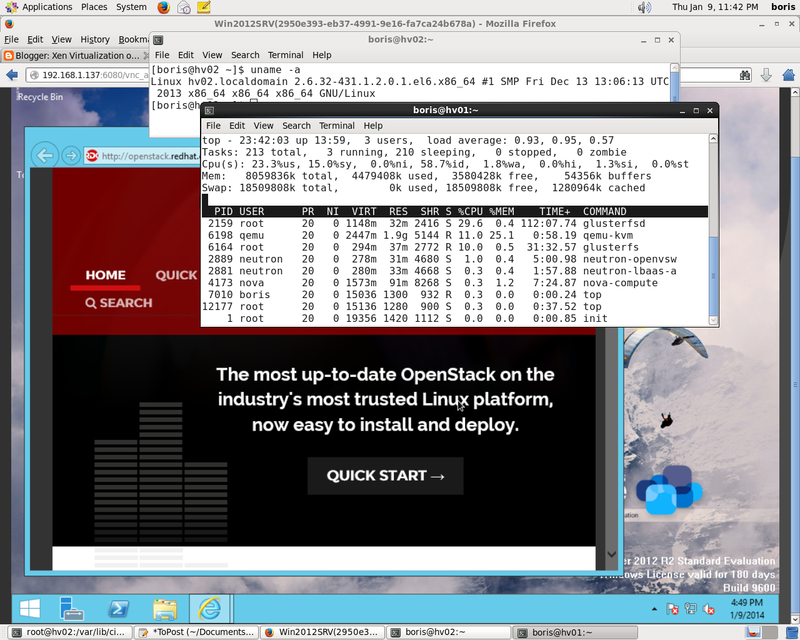 6 cinder cinder 4.0K Jan 8 14:12 ..
# you don’t need to exclude any server. # Secret key for signing metering messages. 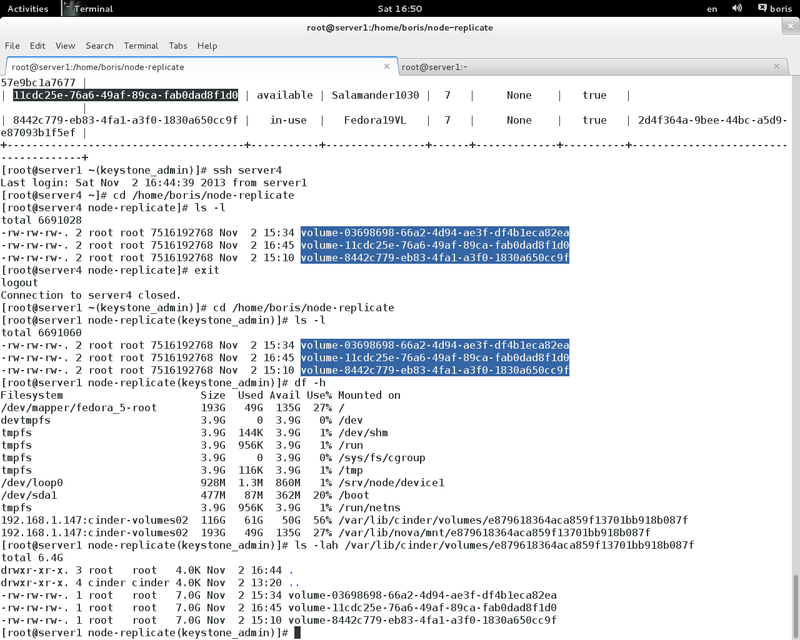 You are currently browsing the archives for the glusterfs cluster havana category.